PERFORMING MOBILITIES explores how contemporary life in Australia, the world’s largest island continent, is framed by borders whilst constantly being reconstructed through dynamic processes of mobility. The program seeks to creatively and critically explore forms, forces, dynamics, meanings and consequences of performing mobility. 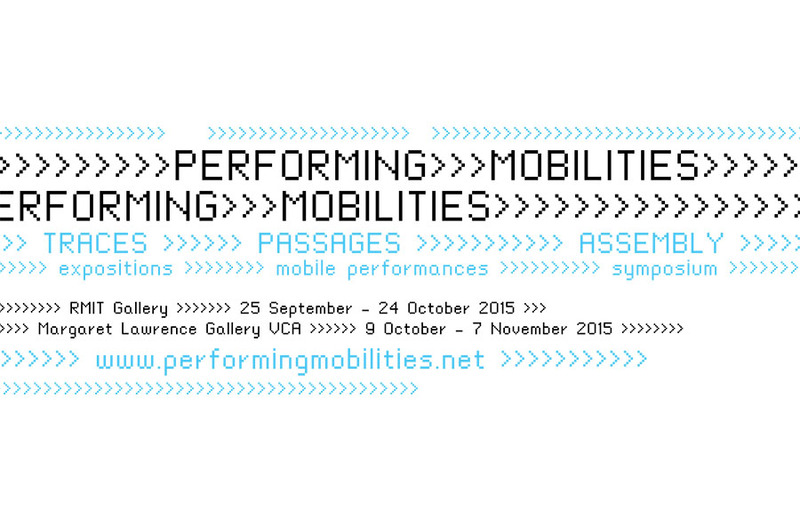 It proceeds through journey-based projects that manifest TRACES in gallery expositions, via PASSAGES of mobile performance, into this ASSEMBLY symposium. Proposals were invited from artists, makers, writers and researchers for cross-form and interdisciplinary creative projects and performances, temporary interventions, performative presentations and academic papers. The ASSEMBLY aims to bring together artistic research and critical reflection to investigate intersections of performance and mobility that are of Australasian regional relevance and global resonance.